Sausalito Art Festival Sausalito has long been hailed as an artist's paradise, so hosting this excellent arts fest is a no-brainer. This year marks the 62nd festival and features top-name musical entertainment (Big Bad Voodoo Daddy, the Fabulous Thunderbirds, Taj Mahal, Tower of Power) on three stages and gourmet food and beverages—not to mention more art than in some museums! Aug. 30–Sept. 1. Marinship Park, Sausalito. Saturday–Sunday, 10am–7pm; Monday, 10am–5pm. $5–$25; children under five are free. 415.332.3555. Coahoma to Sonoma Blues Festival It takes 32 hours to drive the 2,134 miles straight through from Coahoma, Miss., to Petaluma, Calif., but don't gas up the truck just yet. Lagunitas Brewing Company, the Bowker Family and KRSH radio have done the legwork, bringing the blues sounds of Patrick Sweany, Christone "KingFish" Ingram and Lightnin' Malcolm to wine country. Sept. 1. Lagunitas Mini Ampitheaterette at Lagunitas Brewing Company, 1280 N. McDowell Blvd., Petaluma. 10am–9pm. Free to all ages until 3pm, then $12 for ages 21 and over. Tickets only available through www.lagunitas.com. Through his 35-year career, singer-songwriter Elvis Costello's musical curiosity has made him one of the most versatile performers of his generation. Sept. 3. Green Music Center's Weill Hall, 1801 East Cotati Ave., Rohnert Park. 7:30pm. $25–$45. 866.955.6040. Free live music kicks off the start of the festival Thursday, Sept. 4, at Umpqua Bank (1065 Main St., St. Helena) with Heidi Swedberg and the Sukey Jump Band (5:30–7pm). The fun continues on Friday from 10am to noon at the St. Helena Farmer's Market, followed by the Wine Country Ukulele Picnic at Lyman Park (1300 block of Main, between Pine and Adams) from 5:30pm to dusk. Saturday, from 10am to 5pm the festival will host jam sessions, flea market, ukulele lessons and giveaways. Brand-new this year is the all-festival dinner and jam led by Andy Andrews, held from 5pm to 8pm (free with festival admission). The festivities conclude on Sunday with "Aloha Day," a celebration of Hawaiian music, arts, dance, crafts and food from 10am to 5pm at the Upper Valley Campus of the Napa Valley College. Sept. 4–7. Admission $15; kids under 12, free (extra charge for ukulele workshops). 707.226.7372. 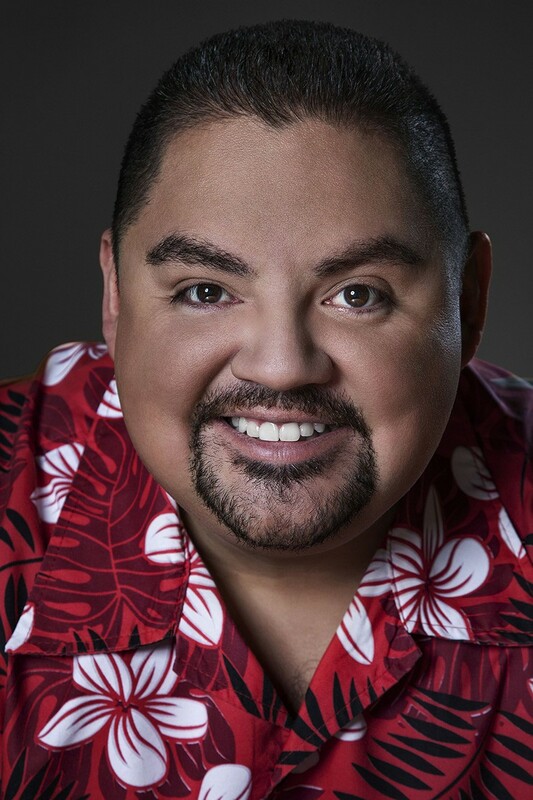 Gabriel Iglesias Iglesias is one of America's most successful standup comedians. His comedy is a mixture of storytelling, parody, and sound effects that bring his personal experiences to life. And though he starred in the Fluffy Movie, don't hold that against him. Sept. 5. Green Music Center's Weill Hall, 1801 East Cotati Ave., Rohnert Park. From $30. 866.955.6040. CRAZY BALD HEAD Sinead O'Connor still causes a stir. She plays Napa's City Winery, Nov. 20-21. Art for Life 2014 Support Face-to-Face Sonoma County AIDS Network and get some fine art at this 27th annual auction and party. Sept. 6. Sebastopol Center for the Arts, 282 S. High St., Sebastopol. 2–6pm. $75. 707.544.1581. 19th Annual Sebastopol Cajun Zydeco Festival This annual festival in Sebastopol infuses life with some good ol' fashioned New Orleans spice. Lok for Creole United, Lawrence Ardoin, Andre Thierry and Zydeco Magic, Edward Poullard, Sean Ardion and Zydecool, Jeffrey Broussard and Rusty Metoyer storm the stage. Sept. 6. 11:30am–7pm (rain or shine), Ives Park, 400 Willow St., Sebastopol. Online tickets $22 at www.winecountrycajun.com; $25 at the gate. Kids under 12 are free. 12th Annual Chautauqua Revue The revue is back for its 12th year. New twists with musicians, storytellers, performers and clowns keep audiences on their toes while keeping certain traditions alive. Sept. 11–13. Occidental Arts and Ecology Center, 15290 Coleman Valley Road, Occidental. Thursday–Saturday at 7:30pm; children's matinee, Saturday at 2pm. $23–$40. Kids under two are free; ages three to 15, $6. 707.874.1557. Wells Fargo Center for the Arts The fall lineup is sure to please the palate of most North Bay arts enthusiasts, beginning on Sept. 11 with country music fave Jennifer Nettles; pop soul-girl Colbie Caillat on Sept. 20; original female rockers Heart on Sept. 25; pre–Snoop Dog pot proponents Cheech and Chong on Sept. 26; the S.F. Comedy Competition on Sept. 27; the Temptations and the Four Tops on Oct. 23; Vince Gill and the Time Jumpers on Nov. 8; jazz songstress Diana Krall on Nov. 13; and Daily Show alum John Oliver on Nov. 31. 707.546.3600. www.wellsfargocenterarts.org. Wine Country Salsa & Bachata Festival The first two days of the third annual festival include guest instructors and floorshows at George's Nightclub in San Rafael and J.A.S. Dance Academy in Santa Rosa. The next day is full of salsa and bachata workshops from world-renowned instructors, winetasting and barbecue; an after-party in Napa Valley conclude the festivities. Sept. 12–15. Finley Auditorium, 2060 W. College Ave., Santa Rosa. $40–$120. 707.293.4292. Unity Festival The party returns for a fourth year, bringing with it all the glory of community. Focus the energies of the human spirit with your brothers and sisters through music, dance, art and education. The lineup includes Yellowman, Mystic Roots, Easy Star All-Stars, New Kingston, One Drop and others. Along the Russian River at the Guerneville Lodge. Sept. 12–15. 15905 River Road, Guerneville. $35–$265. LAUGH IT UP Comedian Gabriel Iglesias is funnier than Enrique Iglesias. Hear for yourself Sept. 5 at the Green Music Center. Sebastopol Building Convergence The Village Building Convergence is an annual collaboration and cross-pollination of neighbors, groups and civic partnerships working to transform public spaces in Sebastopol through "placemaking projects"—where locals come together to shape their common spaces in a way that promotes beauty and community. Sept. 12–21. 707.228.8400. www.sebastopolvbc.org. Ben Harper Ben Harper is a sublime singer and guitarist adept at multiple genres, from gospel and soul to blues and rock and roll. This special acoustic concert showcases the artist stripped to his core. It's just Harper and his timeless songs at the Green Music Center's Weill Hall, 1801 East Cotati Ave., Rohnert Park. Sept. 13. From $25. 866.955.6040. Fiesta de Indepencia Celebrate Mexico's independence with authentic food, music, games and activities for the entire family. Featuring mariachi bands, piñatas and a good deal of dancing— and don't miss out on the salsa contest. Sept. 13. Wells Fargo Center for the Arts, 50 Mark Springs Road, Santa Rosa. 1 pm. Free. 707.546.3600. Old Grove Festival It's hard to find a better amphitheater than the one at the heart of the Armstrong Woods. Headlining the festival are the Mother Hips with opening band Midnight North. Bring flashlights, seat cushions and warm clothes. Sept. 13. Redwood Forest Theater, 14107 Armstrong Woods Road, Guerneville. 4:30–10pm. $25–$60. Kids free with paying adult. Though there will be music by the Fossils, Randy and the Special Agents, Sugar Moon and Petaluma Pete, this event is really about the beer. A short list of the breweries participating include Henhouse, Lagunitas, 101 North, Moylan's, Baeltane, Woodfour and St. Florian's Brewery. Sept. 13, 1–5pm on Water Street in downtown Petaluma. $40 ($20 for designated drivers). www.petalumacraftbeerfest.org. Marin Symphony Waterfront Pops Concert Alasdair Neale conducts the second annual Waterfront Pops outdoor concert with "Hooray for Hollywood!" celebrating the music of movies. Bring a picnic and a blanket. There will be a fireworks display at the finale. Sept. 13. Marin Center, 10 Avenue of the Flags, San Rafael. 4–8:30pm. $20–$100; children under six, free. 415.479.8100. This fifth annual event fills the hole left when the Ren Faire pulled out of Novato's Black Point, partnering with the many Renaissance guilds in the area to reproduce a merry autumn day in dear olde Elizabeth's time, replete with fencing workshops, food and drink, vendors, turkey legs and oh, the costumes! Sept. 13–14. St. Ives Park, 7400 Willow Ave., Sebastopol. Saturday, 10–6pm; Sunday, 10–5pm. $25. www.muchadoaboutsebastopol.org. The orchestra, under musical director Nadja Salerno-Sonnenberg, returns with its most popular performance. Shchedrin's Carmen Suite is a musical blend of witty arrangements and dramatic solos. The concert also highlights featured composer and guest clarinetist Derek Bermel. Sept. 14. Osher Marin JCC, 200 N. San Pedro Road, San Rafael. 5pm. $29–$61. 415.444.8000. Macy Gray Like a modern-day Billie Holiday, Macy Gray's brilliantly distinct voice propelled her to national stardom with her first hit single, "I Try." Now the singer returns with a new album, The Way, and a new batch of soulful R&B songs. Sept. 18. City Winery Napa. 1030 Main St., Napa. 8pm. $38–$50. 707.260.1600. The B.R. Cohn Fall Music Festival The annual four-day benefit starts with a charity auction dinner, swings into outdoor live music by Huey Lewis and the News, Melissa Etheridge, the Wallflowers, Peter Frampton, Los Lonely Boys and others, and concludes with the celebrity golf classic. Sept. 19–22. B.R. Cohn Winery, 1500 Sonoma Hwy., Glen Ellen. 11am–6pm. $79–$1,000. The Manaleo Hawaiian Cultural Foundation hosts live music and dance, Hawaiian food and arts and crafts. Sept. 20. Napa Valley Expo, 575 Third St., Napa. 10am–6pm. Free; bring a canned food for donation. Floating Homes Tour The Sausalito water-bound community invites visitors into some of the world's most unique and beautiful homes. On offer are food and drinks, local musicians and an art show and sale, but it's the houses that are the main attraction. Sept. 20. Kappas Marina, Sausalito. 11am–4pm. $35–$40. 415.332.1916. Russian River Jazz & Blues Festival A rich tradition of blues and jazz continues with Boney James, Goapele, Larry Graham and Graham Central Station, Gary Clark Jr., Roy Rogers and the Delta Rhythm Kings and Ana Popovic performing at the best little beach on the Russian River. A wine garden, international food court and kayaking or canoeing awaits. Sept. 20–21. Johnson's Beach, 16241 First St., Guerneville. 10am–6pm. $50–$80 (weekend pass). Kids five and under, free. 707.869.1595. www.omegaevents.com. 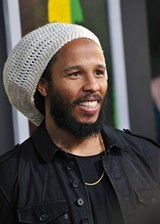 Ziggy Marley has had the most success of any of his father's children. He plays the Uptown Theatre in Napa Nov.8. The sculpture, painting, ceramics and photography of some 150 different artists are on display under the beautiful trees of Mill Valley. This festival, with live music and children's activities, makes sure that all profits go to local schools and charities. Sept. 20–21. Old Mill Park, 320 Throckmorton Ave., Mill Valley. Saturday, 10am–5pm; Sunday, 10am–5pm. $5–$10; kids under 12 are free. 415.381.8090. Studios from all stretches of Napa Valley are open for this 27th annual four-day self-guided tour, featuring artists of all diverse art forms. The event is juried, and unlike other open studio tours in the North Bay, the entire affair is run by the artists themselves. Sept. 20–21, 27–28. 10am–5pm. Maps and info at www.napavalleyopenstudios.org. Poetry Walk Petaluma's Poetry Walk is back for its 19th year. Events are scattered throughout Petaluma within easy walking distance of each other, featuring celebrated poets and music. Sept. 21. 11am–7pm. Check website for venues and poets. www.petalumapoetrywalk.org. Diana Ross One of the most iconic women in music returns to the North Bay as part of her new "In the Name of Love Tour," a culmination of her musical legacy. Sept. 26. Green Music Center's Weill Hall. 1801 East Cotati Ave., Rohnert Park. 7:30pm. $65–$25. 866.955.6040. Dana Carvey From his hilarious characters and impressions to his irreverent comic take on all things pop culture, Carvey continues to entertain audiences. He returns to the North Bay at the Uptown Theatre, 1350 Third St., Napa. Sept. 26. 8pm. $50–$95. 707.259.0123. Carlene Carter The daughter of country music legends June Carter Cash and Carl Smith, and granddaughter of "Mother" Maybelle Carter of the original historic Carter Family, Carlene continues the tradition with her impassioned voice and old-school country tunes. Sept. 27. City Winery Napa, 1030 Main St., Napa. 8pm. $15–$25. 707.260.1600. Earle Fest This year's benefit for the Earle Baum Center for the Blind features Todd Snider, the Brothers Comatose, the Blues Broads and the Great Idea Band. There'll be cold beer, as well as local wine and veggie options to fill sun-warmed bellies. Sept. 27. 4539 Occidental Road, Santa Rosa. 11am–6pm. $35, advance; $40, day of show. Kids under 10 are free. 707.523.3222. Previously known as the American Philharmonic Sonoma County, this community based, nonprofit organization celebrates a new beginning with "Petersburg Passion," performances of Russian composers, with conductor Norman Gamboa and violinist Michael d'Arcy. Sept. 27–28. Saturday, 8pm; Sunday, 2pm. $5–$15. www.socophil.org. The 38th Annual Italian Film Festival A chance to savor the Italian experience, this festival is an often sold-out event featuring Italian films shown over seven days. Sept. 27–Nov. 8. Marin Center, 10 Avenue of the Flags, San Rafael. 5:30 pm. $14–$104 (series ticket). 415.473.6400. 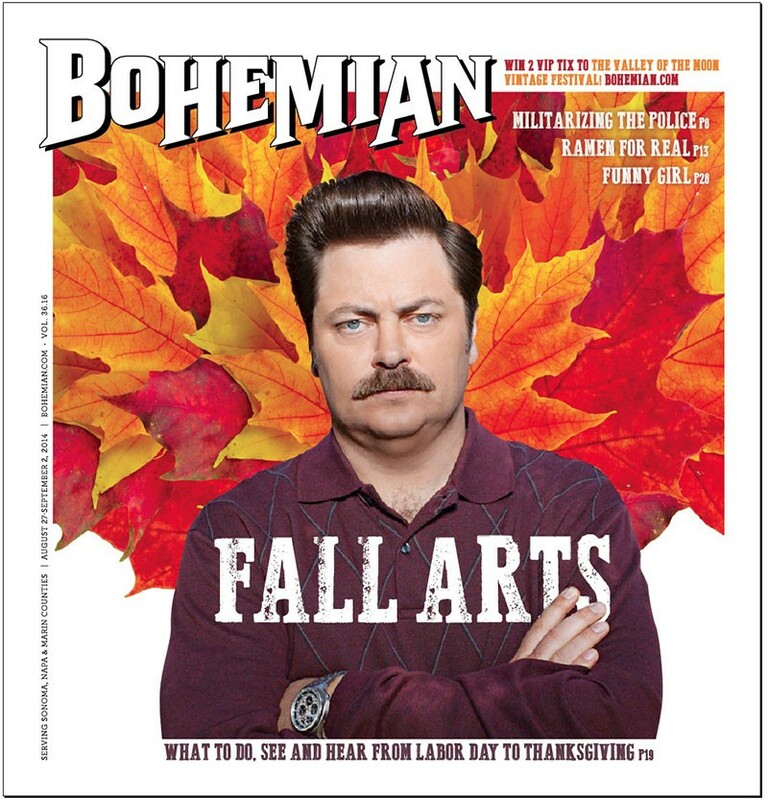 The actor is known best as the manly, stoic government employee Ron Swanson on NBC's Parks and Recreation, though Offerman's real-life manhood is now well-documented in his new book, Paddle Your Own Canoe. The epically coifed actor comes to Santa Rosa for one night of delicious living when he appears at the Wells Fargo Center for the Arts, 50 Mark West Springs Road, Santa Rosa. Oct. 3. 8pm. $40–$55. 707.546.3600. Hit up the World Championship Grape Stomp competition, slurp some wine and hitch a hay ride, or simply get down to some swingin' music at this annual tradition. Oct. 3–5. Sonoma County Fairgrounds, 1350 Bennett Valley Road, Santa Rosa. Friday, 4–9pm; Saturday and Sunday, 10:30–5pm. Gate admission is free with four nonperishable food items for the Redwood Food Bank, otherwise, it's $5. Kids 12 and under are free. Tasting Pavilion tickets (all-inclusive), $55. Tasting Pavilion limited to 21 and over. 707.545.4203. www.harvestfair.org. Benefiting the Boys and Girls Club Valley of the Moon in Sonoma, this catwalk showcases some of the hottest designers on the West Coast with food and drink provided by El Dorado Kitchen and Lasseter Family Winery. $250. Oct. 4. Lasseter's Train Barn, 1 Vintage Lane, Glen Ellen. 707.933.2800. www.lasseterfamilywinery.com. The musician, actor and author shot to national attention when she was a finalist on CBS's Rock Star reality show in 2006. Now Storm Large and her band, Le Bonheur, are back from a national tour and performing from their new album of beautifully twisted music. Oct. 5. Green Music Center's Schroeder Hall, 1801 E. Cotati Ave., Rohnert Park. 3pm. $25. 866.955.6040. Calabash The 14th annual benefit supporting Food for Thought, the Sonoma County AIDS Food Bank, features a selection of fine food and wine, a silent auction of gourd art, tours of Food for Thought's organic gardens and live music played on handmade gourd instruments. Oct. 5. 6550 Railroad Ave., Forestville.1–5pm. $45–$50. Santa Rosa Symphony: Heroes & Legends Conductor Bruno Ferrandis and pianist Yevgeny Sudbin pay homage to Richard Strauss on the 150th birthday of the composer, with his tone poem chronicling the adventures of German peasant folk hero Til Eulenspiegel. Saturday, 8pm; Sunday, 3pm; Monday, 8pm. Oct. 11–13. Weil Hall, Green Music Center, 1801 East Cotati Ave., Rohnert Park. 707.546.8742. www.santarosasymphony.com. Learn about groundbreaking ideas and discuss building a blueprint for sustainable systems at the 25th anniversary of the Bioneers Conference. Notable speakers include Wallace J. Nichols, Eve Ensler, Starhawk and the Rev. Cecil Williams. Oct. 17–19. Marin Center, 10 Avenue of the Flags, San Rafael. 9am–5pm. $175–$495. 877.246.6337. www.bioneers.org. Loudon Wainwright III The folk songwriter and celebrated humorist and actor is an astute lyricist and melodic vocalist. Heralded as the new Dylan when he emerged 40 years ago, Wainwright is still cranking out dynamic and original material. Oct. 18. City Winery Napa, 1030 Main St., Napa. 8pm. $40–$50. 707.260.1600.
di Party di Rosa A bit of sparkling wine won't be the only jewels you'll see at the Gatehouse Gallery for this 13th annual benefit art auction. After a silent auction, frolic over the lake for cocktails, music, "Dada-licious" dinner, desserts and, of course, dancing. Oct. 18, 5–11pm. $300–$3,000. 5200 Sonoma Hwy., Napa. 707.226.5991. www.dirosaart.org. Leon Russell He's collaborated with everybody in the book, and Russell's solo, session, sideman and touring work is acclaimed across the country. The Oklahoma native brings his eclectic catalogue of country, blues, folk, and rock music to City Winery Napa. Oct. 23. 1030 Main St., Napa. 8pm. $30–$40. 707.260.1600. Composer, vocalist and writer Laurie Anderson has spent the last 30 years creating groundbreaking works that span the worlds of art, theater and experimental music. Her latest collection of songs, Language in the Future, continues her visionary output. Oct. 25. Green Music Center's Weill Hall, 1801 E Cotati Ave., Rohnert Park. 7:30pm. Starts at $35. 866.955.6040. Hospice by the Bay's Bewitching Magical Ball Nov. 1. Celebrating more than 35 years of care, the hospice puts on its annual gala, including hors d'oeuvres, dinner, cocktails and wine. Live auction, live music and lively dancing. Nov. 1. Marin Center Exhibit Hall, 10 Avenue of the Flags, San Rafael. 6pm. $250. 415.526.5500. www.hospicebythebay.org. The 16th Annual Food & Wine Affair Russian River Wine Road gathers over a hundred local wineries for another delicious extravaganza of arguably the two best things in the world. Nab early tickets starting on Sept. 1—they sell out, and quickly. Nov. 1–2. Various locations in Alexander, Dry Creek and Russian River Valley. 11am–4pm each day. $30–$70. 800.723.6336. 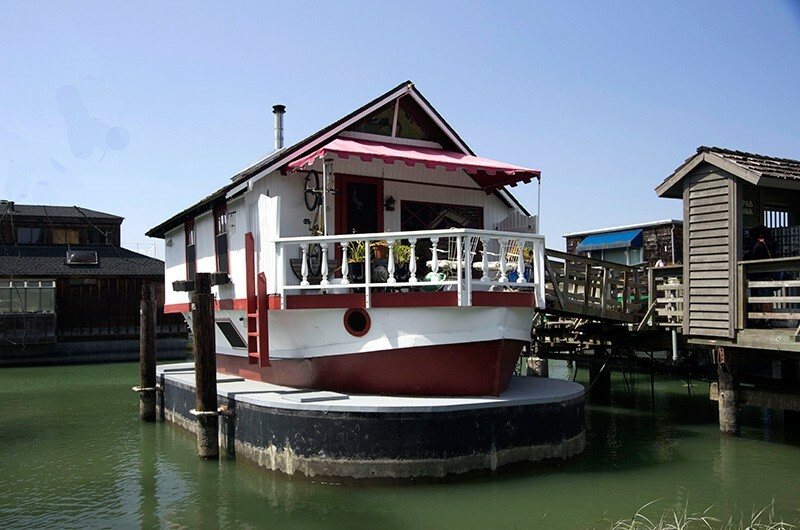 FLOATING HOMES Sausalito's famed houseboats open to the public Sept. 20. Napa Valley Opera House Gala The Napa Valley Opera House's annual black-tie fundraiser auction. This year's event includes a performance by Jamie Davis and his orchestra and a gala dinner by chef Ken Frank, followed by a live auction. Nov. 8. Westin Verasa. 1314 McKinstry St., Napa. 5pm. $350. 707.603.2333. Santa Rosa Symphony: Poetic Inspiration Bruno Ferrandis conducts three revolutionary pieces, including Beethoven's Symphony no. 7, with guest cellist Christian Poltera. Nov. 8–10. Green Music Center's Weill Hall, 1801 East Cotati Ave., Rohnert Park. Nov. 8 and 10, 8pm; Nov. 9, 3pm. 866.955.6040. 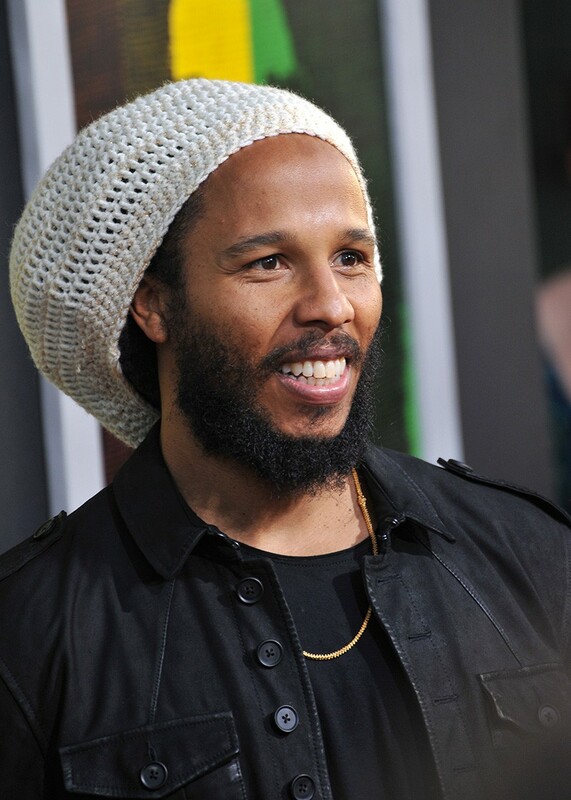 Ziggy Marley Reggae is in his blood, and now the son of Bob returns to the North Bay. His latest album, Fly Rasta, represents his most ambitious effort yet. Ziggy comes to the Uptown Theatre on Nov. 9, 1350 Third St., Napa. 8pm. $40-$75. 707.259.0123. Psychedelic Furs & the Lemonheads Two of the best pioneers of the modern-day indie scene, these freewheeling acts team up for a night of classic hits and primordial chaos. Nov. 11. City Winery Napa, 1030 Main St., Napa. 8pm. $38-$45. 707.260.1600. David Sedaris With sardonic wit and incisive social critiques, David Sedaris has become one of America's preeminent humor writers. He is a master of satire and one of the most observant writers addressing the human condition today. Nov. 14. Uptown Theatre, 1350 Third St., Napa. 7:30pm. $59. 707.259.0123.
Who's Live Anyway? Ryan Stiles, Greg Proops, Joel Murray and Jeff B. Davis improvise comedy scenes with suggestions from the audience, just like their popular TV show Whose Line Is It, Anyway, but without the FCC to worry about. Nov. 15. Wells Fargo Center for the Arts, 50 Mark West Springs Road, Santa Rosa. 8pm. $39–$59. 707.546.3600. Sonoma County Philharmonic: Musical Fantasies The orchestra is joined by Costa Rican pianist Manuel Matarrita and the California Redwood Chorale. The concert includes Dvorák's Serenade for Winds and Mozart's Piano Concerto no. 23. Nov. 15–16. Santa Rosa High School Auditorium, 1235 Mendocino Ave., Santa Rosa. Saturday at 8pm; Sunday at 2pm. $10–$15. www.socophil.org. 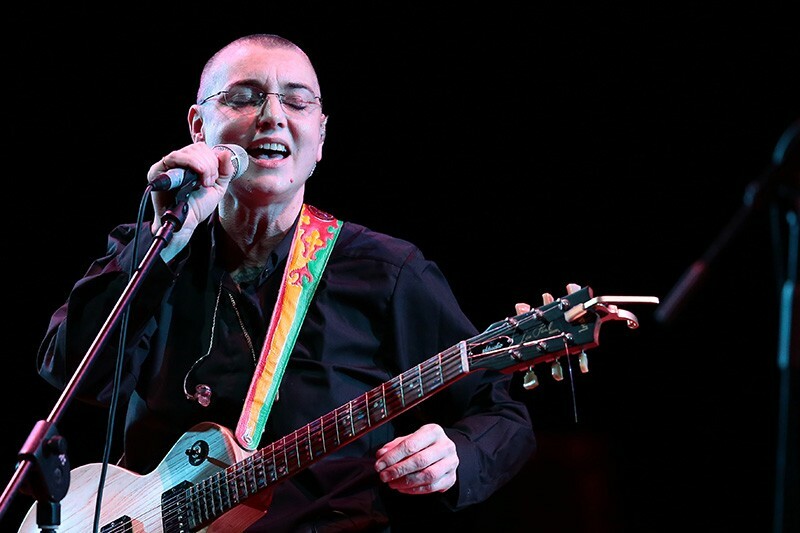 Sinéad O'Connor The Irish singer-songwriter plays music off her brand-new album, I'm Not Bossy, I'm the Boss. Her passionate vocals and challenging lyrics are on display for two nights of powerful live shows and genre-crossing hits. Nov. 20–21. City Winery Napa, 1030 Main St., Napa. 8pm. $80–$100. 707.260.1600.